I am not really appreciative when my pushing hands partners play rough. To me, pushing hands is a practice in which you need to respect your partner and not play rough. I always try to avoid injuring anyone during practice. 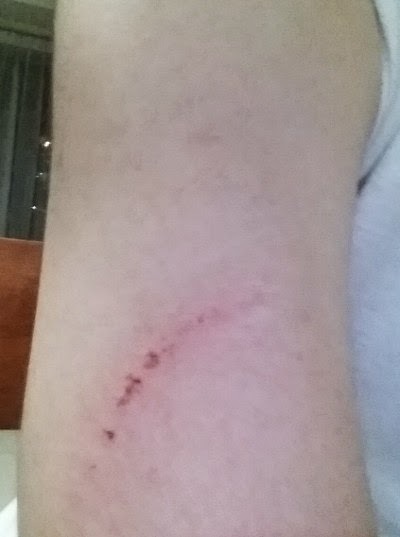 But instead, I got injured... okay, just a minor scratch (about 7cm long) but still, it goes to show that while I may place emphasis on not injuring my partners, that feeling may not be mutual. Sigh.